In about five months the 31st Powerman Zofingen will take place. After last year’s complete renewal of the cycle track and the celebration of the anniversary, this year is a year of consolidation. But stagnation would also mean a setback for the Powerman Zofingen, which is why they want to invest in the quality of the world’s best duathlon. To ensure that ITU Powerman Long Distance Duathlon World Championships can still be held in Zofingen after 2020, the organizers need additional professional reinforcements in the personnel area, but also additional sponsoring money. In the following interview, Stefan Ruf, who is starting his 17th year as OC president, explains how this is to be achieved. 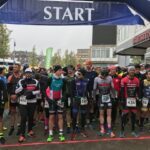 Stefan Ruf, on 7th/8th September 2019, in about five months, the 31st Powerman Zofingen will take place. Are you a little nervous already? 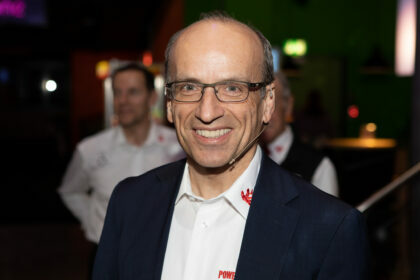 Stefan Ruf, OK President Powerman Zofingen: I’m a little nervous already, after all it’s about the first Powerman Zofingen after the 30-year anniversary. The past has shown that we are never immune to surprises. In addition, we have reassigned personnel to some of the departments and the new managers must first familiarise themselves with their tasks. Last year there was a new bike route. Are there any new adjustments for this year? We invested a lot of time and energy in 2018 to find a cycle track that will last for the next few years. Therefore, there should be no changes, but only minor optimizations. How did the new cycle route, the majority of which runs through the canton of Aargau, reach athletes, sponsors and the general public? I can really say that the new bike course has met with a positive response everywhere. Our expectations were exceeded. In retrospect, one even has to ask oneself whether a new route might have been advantageous even earlier. “12 transit villages – one race” is the slogan used in connection with the new cycle track that was introduced last year. How do you want to involve the transit communities in this? In fact, we drive through many new communities and through the existing ones on a different route or in the opposite direction. The bike course is the heart of our event. We want to use the new starting position to significantly strengthen the relationship with the transit churches. We don’t just want to use the streets, we want to build a mutually fruitful partnership. Not every village has the opportunity to be a partner in a world championship and to present itself in a very exclusive garment. Our goal for 2019 is for a special activity to take place in each individual church, sometime a year, on the occasion itself, or even throughout the year. In Reitnau there will be a special all-year-event where everyone can take part on the bike. What are the details like? The idea is to set up a permanent timing track at one of the most attractive places on our cycle route, in the ascent of Reitnau. Cyclists of all ages and abilities can thus compete throughout the year, be it in terms of the fastest time or the total metres of altitude they have climbed. We would be very happy if we could find suitable partners to realize this project. What changes can you expect for the 31st Powerman Zofingen? 2019 is a year of consolidation. 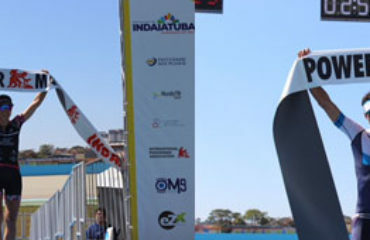 This year and also in 2020 we are allowed to host ITU World Championships. This gives us a certain planning security. We want to use this time to further improve the quality of our organization. What needs to be even better in the future? We need further partners who can support us professionally with their services. Only in this way will it be possible to remain the world number 1 in duathlon in the future. Of course, we will also need sponsorship money in cash in the future, but increasingly also sponsorships in the form of the provision of highly qualified personnel. 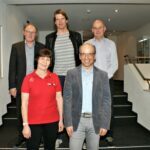 The contract with the ITU (International Triathlon Union) was newly signed. So there will be also 2019 and 2020 in Zofingen ITU Powerman Long Distance Duathlon World Championships. Are you honoured that the ITU (International Triathlon Union) and the IPA (International Powerman Association) will be making their twelfth and 13th appearances in Zofingen after 1997, 1998, 1999, 2011, 2012, 2013, 2014, 2015, 2016, 2017 and 2018, not to mention their ninth and tenth in a row? It is indeed something of which I am personally very proud. The fact that the ITU places this trust in us is due to our transparency and our dealings with the international association. But we have to be aware at all times that this World Cup history can be over at any time. In this respect, it is precisely for this reason that we have to invest in organisational quality and in athlete advertising. Our claim must be that exactly the same number of athletes come, whether or not a World Cup takes place in Zofingen. In 2019 you will personally tackle your 17th year as OC President of Powerman Zofingen. Is the momentum still as great as in the first year of office? positive, optimistic environment. We have both at the moment, which was not the case 17 years ago, for example. On an international level, it is above all the female figureheads of the Powerman Zofingen who are the top. 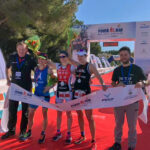 The current Zofingen ITU Powerman Long Distance Duathlon World Championship Petra Eggenschwiler won this year the Powerman Mallorca and the Vice Champion Melanie Maurer just won the Powerman Greece. Such advertising ambassadors are certainly good for the Powerman Zofingen? Petra Eggenschwiler and Melanie Maurer are currently giving Duathlon sport a powerful tailwind. 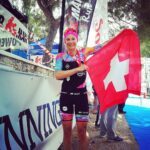 Last year’s Swiss double victory in Zofingen led, among other things, to the Powerman Zofingen appearing both in the sports panorama and in the main edition of the Swiss television news. This is an impressive demonstration of how important national flagships are in a sport. I could also say that we are currently benefiting from the so-called Federer effect. The encouraging prospect is that both Swiss women are in their prime and will be able to continue to shape this sport for several years to come. The 2018 renewed cycle route will again pass through the old town of Zofingen in 2019. Here world champion Petra Eggenschwiler, who drives past the Niklaus Thut fountain. 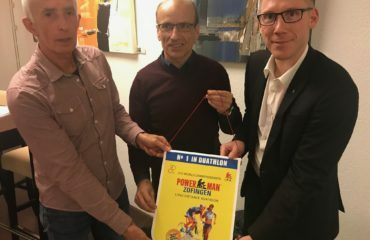 At the national level, the Powerman Zofingen wants to work more closely with the Powerman Tramelan and Swiss Duathlon. What are your goals? The Swiss market is relatively small. It therefore makes no sense for different organizations and events to work on the same customer segment. Together you can use the available budget much more efficiently and purposefully and thus ultimately inspire significantly more people to take part in duathlon. The OK has now grown to about 50 people. Where are there still vacancies that can/must be filled? 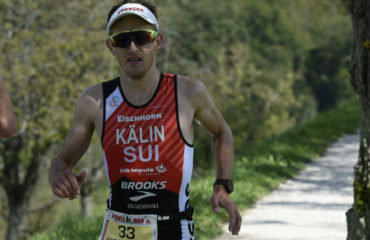 For the Powerman Zofingen as the world’s most important duathlon event and world championship, the focus must be primarily on the foreign participants. There is no doubt that we can and must do much more. Domestically we are now working more closely with Swiss Duathlon and this year we are official supporter and partner of the Swiss Duathlon racing series, which has grown to 12 events in 2019. Also with the Powerman CHARITY and the PowerKids you stir the advertising drum more intensively. Do the participants benefit from this as well? The undisputed highlight of our event is undoubtedly the long distance race. All activities must be geared primarily to this. The CHARITY run and the Powerkids are, however, two further pillars with which we also want to offer something locally and regionally. The support of charitable organisations and the promotion of young sportsmen and women are therefore also close to our hearts in the future. Nowadays, social media take an increasingly important place at sports events. Did the Powerman Zofingen recognize this? The social media are particularly important insport. Athletes from all over the world can talk about it. The organizers must also use these media to communicate with their participants, which will certainly become even more important in the future. Because the very best advertising is and remains the recommendation and a positive assessment is spread very quickly and very widely via the social media. This is why we will also continue to expand our presence in the social media. 1.) Stefan Ruf, OC President of the Powerman Zofingen, wants to bundle forces and resources in the future and work even more closely with Swiss Duathlon and the Powerman Tramelan. 2.) The 2018 renewed cycle route will again pass through the old town of Zofingen in 2019. Here world champion Petra Eggenschwiler, who drives past the Niklaus Thut fountain.